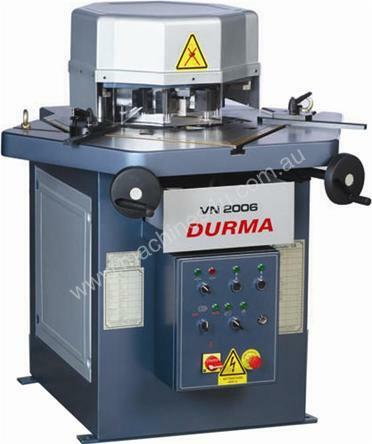 DURMA corner notchers have a heavy rigid construction with a solid machined table. T-slots have been machined in the table for fast and accurate positioning of gauge stops and protractor guides. The operator can adjust the angle of notch from 30-140 degrees easily and quickly via hand wheels located on each side of the machine. 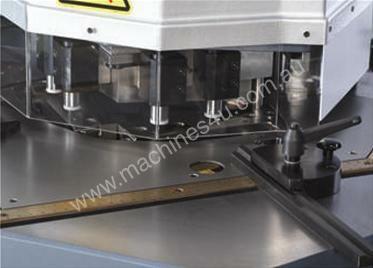 The automatic blade adjustment feature assures high quality cuts on varied thickness and types of material. There are three upper and four lower hydraulic cylinders that create a rigid structure for accurate and repeatable notching. 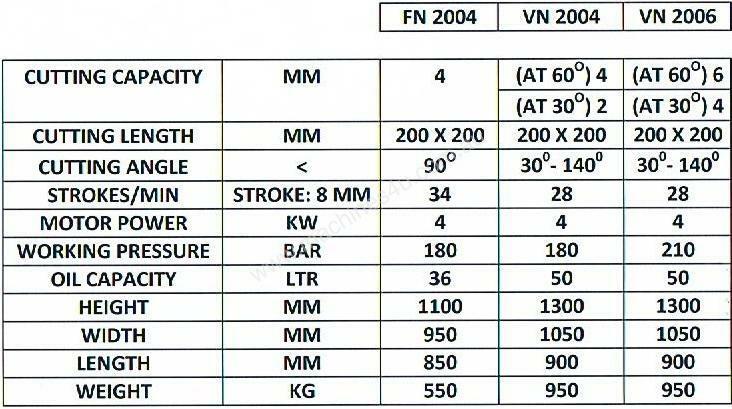 The measuring scales have been positioned below the work service to prevent wearing of dimensional readouts over time.